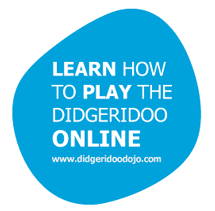 So you want to learn how to play the didgeridoo? Congratulations, you're in the right place! 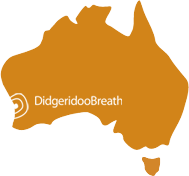 The Didgeridoo Breath team is proudly the world's biggest didgeridoo lesson provider, teaching thousands of people how to play each year. Even better news, we are specialists in finding the perfect didgeridoos for our customers. We can hand pick one for you! We know what to look for and within each didgeridoo range, we can hand pick a didgeridoo for you that is easy to play, uses little air, has a clear drone, is well balanced with good backpressure and will fast-track your didgeridoo playing! Please note that the didgeridoo pictured above is an example only. The didgeridoo we hand select for you will be very similar, however as every didgeridoo is hand-made and completely unique, the didgeridoo shape and colour may vary slightly. Is this the right Didgeridoo Starter Pack for me? All didgeridoos in our Didgeridoo Starter Packs are made from termite hollowed Eucalyptus trees from the Northern Territory, Australia. They are sealed inside and out for the highest sound quality and durability in all climates around the world. The length affects the pitch of the didgeridoo. What sound do you prefer? That's the size to go for. Medium: Medium sized didgeridoos range from around 100cm - 115cm (40 - 46inches). Being a little shorter than full sized didgeridoos, they have a slightly higher pitch (Key: E - F). Have a listen to the sound sample of a medium didgeridoo below. Large: Large didgeridoos are "full-sized" didgeridoos that range from 125cm - 140cm (50 - 56inches). Larger didgeridoos have a deeper tone (key C - E). Have a listen to the sound sample of a large didgeridoo below. What to you prefer your didgeridoo to look like? Natural Finish: A basic sealed finish that shows the unique eucalyptus timber. I ordered a didgeridoo for my sons 27th birthday. He is a musician , he plays drums, base , acoustic guitar and sings. He always wanted to learn the Didgeridoo. It arrived at his door on his birthday, so bonus there. He loves it, the bees wax mouth piece is a hit as well as the natural finish. He is enjoying it immensely. The ordering process was easy i was very comfortable with the webb site . I love your site. I will be making additional purchases in the near future. Thank you. Awesome looking didge, absolutely love my starter pack. Price was unbeatable @ $190 delivered to east coast. I would recommend didgebreath to everyone interested in buying a didge. Thanks to everyone at Didgeridoo Breath. I recently purchased a didg online for my son's birthday but the package I originally chose was on back order. The guys contacted me and with some negotiation they did up a package for me at not extra cost. Delivery time was great also. Top service and product. Needed a great souvenir/gift as birthday/Xmas/farewell present for 17yr old Brazillian international student. Needed it in a hurry and at a good price! Enter Google and consequently Didgeridoobreath! Got 15% discount code from their facebook site, ordered using Paypal over net Wed night, rang Thurs morn asking to post by Fri if poss but it had already been shipped and arrived Sat morn!!!!! Perth to Adelaide and NOT by express post. I was SO impressed! But not as impressed as the kid who received a genuine didge with DVD, carry bag and extra mouth pieces&#128516; thanks Didgeridoobreath! You made all our days! Now I might buy one for myself! Want a didge? This is the ONLY place to go! Cheers guys - you should be truely proud! !